It’s the easiest and most effective “how to sell” prop in the world. When I get a chance to speak to sales folks, I’ll occasionally launch into using a real chair that happens to be lying around to help folks learn how to sell. Every time I do it; I see heads nod in enlightenment and jaws literally slacken as many salespeople have “aha” moments. It resonates so well that I typically walk away from these little talks saying to myself “Geez, I’ve got to do that chair thing every time!” But then, as I am apt to do; I forget to do it the next time. Not any more, I am committed to embracing the chair! So with apologies to the office furniture and chair sales folks out there, I must explain that the ubiquitous chair is the perfect prop to represent your “product” or whatever it is you are selling or marketing. It is precisely because the “chair” is so common and so “everywhere” that it works. It works because it allows you the teacher, speaker or trainer to easily put emphasis on more than just the product and focus on the positioning, credibility and solutions your product or service really needs to get sold. The chair is big. Really big. You could spend a whole day preaching and teaching a lot more than just the 6 lessons below but heck, it’s a start. Welcome to my Chairvolution. Please steal shamelessly. Start by saying “I am going to sell you a chair” and then follow the guide below as you teach and preach. Lesson 1: Put the chair behind your back and ask (as if you are the sales rep) “What kind of chair would you like?” This is a great first lesson because it is about what not to do. In this harried, crazy, no time and no trust world of buyers we live in; the age old “Tell me what you dream” is really just about dead. Open ended, out of the blue questions more often stop sales processes, not start them. You’ve got to lead folks or give them a comparative reference. Psychology notes that comparison is less brainwork than creation. Discuss. Lesson 2: Bring the chair back from behind your back and say “This is our most popular selling chair” Pause, then ask the group – “How many of you just ever so slightly had their interest piqued?” Here is a great 2nd lesson in the value of popularity. 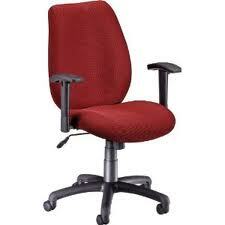 Popularity is so important that the next 2 lessons using this chair go even deeper there. There’s a reason Amazon built that algorithm! Lesson 3: Continue holding onto the chair and say “This chair is the most requested one by the folks at your company”. Pause and ask “What’s different in this lesson?” What’s different is that Popularity positioning you shared in Lesson 2 has been turned around and is now positioned with something more valuable to the client. That is that prospects “like them” ( i.e. those people that work in this company) love this chair. No doubt the interest of the group is piqued about the darn chair. Discuss. Lesson 4; “Everyone in your department on the first floor has this chair” Here it’s getting obvious that the closer you get to the truth about popularity of product by customer and prospect type, the better. Study after study shows that most people need to and love to do what other people just like them do and make similar choices. Yep, like the Amazon pop-ups and the Net-flix pop ups; you get it. Lesson 5: Switching gears, look longingly at the chair and say “This chair will make your back feel better” or “This chair will get that capital expenditure under control” or “This chair will give your employees that “Google” office feel they want”. The point here is that you are showing just how much work needs to be done before you talk about the darn chair to prospects. What problem it solves, what pain it eases, what yearning it fills. Have fun with this part as nary a mention of price, height or color is in sight. Lesson 6: Take the chair and roll it up next to one of the participants in the room and say “Your mother suggested I talk to you about this chair”. Have a good laugh at those who say “I don’t like my Mom” but the point is this – The best selling approach ever is a credible referral from someone the prospect trusts or even better; loves. Sales people should work hard to secure referrals and references. Frankly with those in hand, there is no real selling involved, it’s already done. Don’t couch this one folks. Unseat all those beliefs that selling is about price and options. Lay it all on the table in a different way this time and use that chair! I promise it will open a brand new door to how salespeople think about sales. Mark – This is a great example of the importance of calling out benefits rather than features. Thanks Jeremy, it kind of forces that focus!